CIA Director Distinguishes "bad"/"good"/"lesser" and "non-secrets"
Washington, D.C., October 28, 2011 - CIA director William Colby rebuffed criticisms from senior Agency operators about disclosure of CIA misdeeds by describing the difference between "bad secrets," "non-secrets," "good secrets" and "lesser" secrets, according to a previously SECRET internal CIA history of the Colby tenure, published today on the Web by the National Security Archive at George Washington University (www.nsarchive.org). "There are some 'bad secrets' which are properly revealed by an aggressive press. there are some older 'non-secrets' which no longer need to be kept secret and which we should gradually surface, but there are some 'good secrets' which deserve greater protection than we have been able to give them, in part by reason of their association with 'secrets' of lesser importance." The latest declassification (in August 2011) from a series of secret studies by the CIA History Staff of the agency's directors, the volume gains credibility from its authorship by veteran CIA analyst and operative Harold Ford, who courageously presented to the Congress well-documented internal critiques of CIA director-designate Robert Gates during his confirmation hearings in 1991. To win confirmation, Gates had to promise Congress not to fire Ford in retaliation. The history, William Colby as Director of Central Intelligence, 1973-1976, provides detailed accounts of key episodes such as the firing of counterintelligence chief James Angleton, Colby's role in the revelation of the CIA "family jewels," and the collapse of South Vietnam, where Colby had spent much of his career. 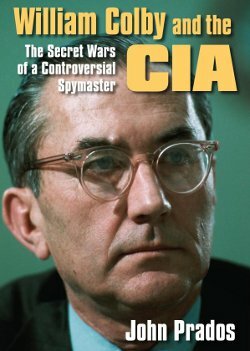 The posting features an introduction and review written by Archive senior fellow John Prados, author of the widely-praised biography, William Colby and the CIA: The Secret Wars of a Controversial Spymaster (University Press of Kansas, 2009). The favorable Prados review points out some shortcomings as well, including the history's lack of attention to Colby's fraught relationships with Presidents Nixon and Ford, and most of all, Henry Kissinger. Declassified Kissinger transcripts show Kissinger fuming about Colby's airing of the CIA's dirty laundry, but Prados concludes that Colby in effect saved the CIA from possible abolition as an agency. Opening in Washington, D.C. on October 28 at the Landmark E Street Theater is a biographic documentary produced by Colby's son Carl, an award-winning documentary filmmaker, The Man Nobody Knew: In Search of My Father, CIA Spymaster William Colby. From the film's Web site: "A son's riveting look at a father whose life seemed straight out of a spy thriller . the story is at once a probing history of the CIA, a personal memoir of a family living in clandestine shadows, and an inquiry into the hard costs of a nation's most cloaked actions .. The film forges a fascinating mix of rare archival footage, never-before-seen photos, and interviews with the 'who's who' of American intelligence, including former National Security Advisers Brent Scowcroft and Zbigniew Brzezinski, former Secretary of Defense Donald Rumsfeld, former Secretary of Defense and Director of CIA James Schlesinger, as well PulitzerPrize journalists Bob Woodward, Seymour Hersh and Tim Weiner." For many years it has been a CIA practice to employ its History Staff to compile secret studies of the stewardships of the agency's leaders. This newly declassified official account covers William Egan Colby's tenure, during an extraordinary period of modern American political history. Colby's directorship lasted from 1973 through early 1976 and encompassed the end of the Vietnam war, the collapse of détente with the Soviet Union, and the "Year of Intelligence," the time of the Church and Pike Committee congressional investigations of U.S. intelligence, and the Rockefeller Commission inquiry into CIA domestic activities. Bill Colby led U.S. intelligence at the watershed moment when these events led to the gestation of the modern era of American practice, where the CIA and other agencies function amid a framework of congressional oversight committees and independent inspectors general.the Colby study covers the end of the Vietnam War, the collapse of détente with the Soviet Union, and the "Year of Intelligence," when the Church and Pike congressional committees investigated U.S. intelligence and the Rockefeller Commission reviewed CIA domestic activities. Bill Colby led U.S. intelligence at a watershed moment which led to some modicum of accountability by the CIA and other agencies, when they began to operate within a framework of congressional oversight committees and independent inspectors general. Within the CIA, Bill Colby was and remains one of the more controversial figures in the agency's history. There are several reasons why CIA rank and file disputed Colby's role. It was his fate to head the agency at a moment when Richard M. Helms, Colby's predecessor, came under fire for perjury in his own congressional testimony regarding CIA covert operations in Chile. Some charged Colby with failing to protect an agency officer assailed from the outside. World events during his tenure were also a source of controversy, in particular the fall of South Vietnam. Saigon's collapse, the hurried U.S. evacuation, and the abandonment of CIA assets in Vietnam seared many agency officers who had had Southeast Asia as their main concern for over a decade. One senior analyst, Frank Snepp, went public with a critique of U.S. intelligence before South Vietnam fell, and of agency actions in the evacuation that was highly damaging to Colby, who had been one of CIA's primary action officers on Vietnam throughout that period.1 But the central reason for the controversy over Bill Colby's leadership flows from the intelligence investigations of 1975, set off by press revelations of widespread CIA domestic activity against the Vietnam antiwar movement. Both CIA officers and White House officials, including President Gerald R. Ford and national security adviser Henry A. Kissinger, condemned Colby for allegedly "giving away the store" to the inquisitors of the "Year of Intelligence." Given this context the CIA's internal history of Colby's directorship is especially interesting and significant. The volume, William E. Colby as Director of Central Intelligence, was written by the late Harold P. Ford, a former CIA official who prepared it on contract completing it in 1993.2 The selection of "Hal" Ford for this writing assignment is important. Ford had joined the CIA in the same year as Colby, and had been active on both the clandestine and analytical sides of the agency, including work as a CIA station chief (in Taiwan) and on the National Intelligence Council (NIC). Ford had worked with Colby on interagency groups dealing with Vietnam in the early 1960s, when the latter headed the Far East Division of CIA's operations directorate, and again as a senior assistant before his 1974 retirement. More than that, Ford had labored on a futile agency paramilitary operation (against China during the Korean war), just as Colby had done as station chief in Saigon, aiming at North Vietnam during the early days of the Southeast Asian conflict. And Hal Ford had also worked the other side of the street-as a consultant to the Church Committee during its 1975 investigation and as a staff member of the newly-created Senate Select Committee on Intelligence. Thus Harold Ford had an independent perspective on many of the issues which figured in the controversies over Colby and are reflected in the agency's internal history. The result is apparent in his narrative. This CIA history passes lightly over a number of important events that took place on Colby's watch. The coup against Salvador Allende in Chile took place a week after the new director was sworn in. The CIA's contribution to laying the groundwork for a coup are well-known and Colby had headed the agency's operations directorate during at least part of the time when the project evolved. This would have been a good place to provide some background on the CIA's operations in Chile, but here Ford discusses the Chile project mostly in terms of the resulting perjury charges against Richard Helms. Similarly the fall of Saigon, the CIA covert actions in Angola and Kurdistan, and the attempt to raise a sunken Soviet submarine with using the vessel Glomar Explorer pass by in a few paragraphs. Some of these projects set or changed key limits on Colby's ability to act and merited more extensive discussion. For example, Director Colby obtained the cooperation of journalist Seymour Hersh in keeping quiet the Glomar Explorer story, and that favor stayed Colby's hand when Hersh went for the even more explosive story of CIA domestic activity in what Hal Ford terms Colby's "Black December." The end in Vietnam was intrinsically so important that it figures in the same category. Also underreported in the narrative is the bureaucratic infighting within U.S. intelligence on its estimates of Soviet military power and defense spending, which began to come under major attack from more alarmist observers during the Colby era. White House pressures on CIA to act in Angola and with the Kurds in Iraq helped set the context in which subsequent events occurred, along with White House attitudes toward the agency as well as Colby's sense of how his problems would be perceived by presidents Richard Nixon and Gerald Ford and their associates. The CIA history does a good job of sketching Nixon's animosities toward the agency-and clearly its historian made use of Nixon administration official records-which makes it striking that apparently no such effort was made to consult equivalent Ford administration documents. Hal Ford quotes Colby himself to the effect that it never occurred to anyone at CIA-starting with then-director James R. Schlesinger-to tell the White House about the internal document collection known as the "Family Jewels," which contained a number of the revelations that would explode in "Black December." But Schlesinger was feuding with Kissinger, and when Colby took over Kissinger continued to keep the agency at arms' length, and in any case the Family Jewels had been created for the private use of the CIA director. The Colby history does not make this clear. It was Seymour Hersh again, in the New York Times of December 22, 1974, who set off the explosion that led to the Year of Intelligence, by revealing agency illegal domestic activity, followed over subsequent days by further revelations.4 During the months which led up to this Black December, Hersh was already onto the story of the CIA in Chile, as well as Glomar. Hersh's investigative reporting had been discussed in Gerald Ford's White House, and even in Richard Helms's morning staff meetings before he left the agency. The CIA's Colby history repeats the conventional wisdom that the director blind-sided the White House by not providing advance notice. The suggestion that White House officials needed any warning from Bill Colby to be on notice that Hersh had more agency revelations up his sleeve strains credulity. Consulting Ford administration records should clarify this problem. Both of Colby's two substantive one-on-one meetings with President Ford during 1975 concerned the CIA troubles. At the first, Ford informed the CIA that he was about to set up a presidential commission to head off congressional action. At the second, Ford reviewed with Colby the testimony on covert operations the CIA director would present the next day at the Church committee (this latter presidential action goes entirely unrecorded in the CIA internal history). Without engaging the question of the legality of information denials, in the face of long-standing law that recognized Congress had an absolute right to investigate government affairs, and an unlimited entitlement to such information as necessary for such inquiries, the CIA's Colby history treats this entire period somewhat mechanically, as a bureaucratic dispute over who got access to what and when and whether Congressional disclosures damaged national security. Colby's difficulties during the Year of Intelligence would be greatly compounded by the fact he was already under fire inside CIA when Black December came. This was due to charges that Richard Helms had perjured himself in sworn testimony before Congress on the covert operation in Chile. Helms too had been caught in a dilemma-between Richard Nixon's strict orders for secrecy on Chile and Congress's demand for answers. The Justice Department eventually took over that inquiry and would ultimately indict Helms on this charge, which the former CIA director would not contest once it came to trial in 1977. Here Bill Colby was mousetrapped on the matter of forwarding the charge to Justice, and agency rank and file took sides with Helms or, to a lesser degree, with Colby. Even most CIA veterans do not know what really happened in the Helms affair-Director Colby initially refused to forward the charges but was forced to do so by backbench insistence and pressure from Justice Department officials. Hal Ford's account of the Helms case is quite detailed, as is his narrative of Colby's firing of CIA counterintelligence chief James Angleton-a close friend and ally of Helms-which further inflamed passions against Colby within the agency. The CIA internal history is very useful on these matters. Harold Ford has some sympathy for Director Colby's basic predicament. 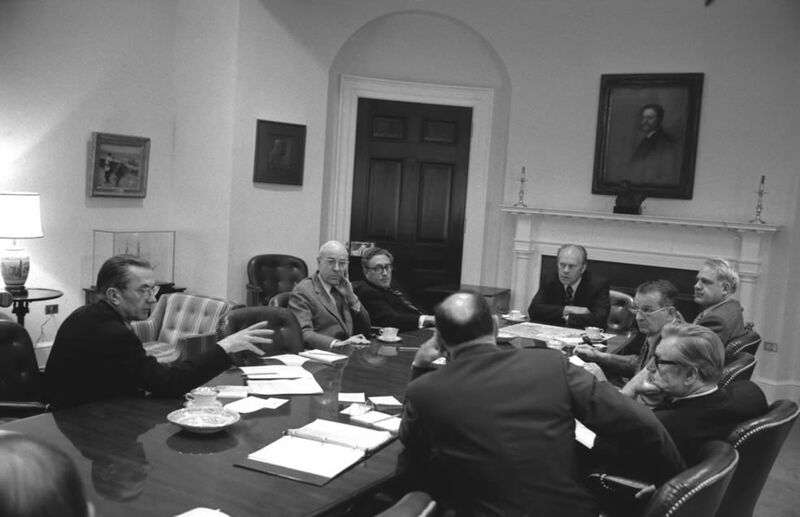 The political disputes of the Vietnam War and the presidential excesses of Watergate had strengthened the position of Congress, while the CIA had precious little support inside the White House. The simple fact of Black December signaled that a new era was dawning for U.S. intelligence. Bill Colby's challenge was to chart a course between the contending forces that preserved the agency, while fending off demands to do business the old way, not only from the White House but his own CIA officers. Colby, criticized as a Boy Scout or naïf, actually understood better than his associates that in 1975 the Central Intelligence Agency was in real danger of being swept away. Until the doubts that have arisen regarding the CIA in the wake of the September 11 attacks, this Year of Intelligence posed the most serious threat to the agency's existence. Within its limitations, the CIA secret history represents the most detailed account yet available from the agency's perspective of the investigations of the Year of Intelligence. With most of the key actors now gone-starting with William Colby himself but including Vernon Walters, Walt Elder, Mitchell Rogovin and others-a better history of this kind seems unlikely. It is especially worth reading for the attention it brings to a number of issues, including its major focus on the Year of Intelligence. Harold Ford has refined our understanding of the precursor events that helped create the modern American intelligence system. These origins throw needed backlight on arrangements for congressional oversight, and the competition between that oversight and presidential control which still drives the U.S. intelligence community today. Frank Snepp, Decent Interval An Insider's Account of Saigon's Indecent End Told by the CIA's Chief Strategy Analyst in Vietnam. New York: Random House, 1977. Harold P. Ford, William E. Colby as Director of Central Intelligence. Central Intelligence Agency: CIA History Staff, 1993 (declassified August 10, 2011). Harold Ford, William E. Colby, p. 61. Seymour Hersh, "Huge CIA Operation Reported in U.S. Against Antiwar Forces, Other Dissidents in Nixon Years," New York Times, December 22, 1974.